Understanding Quadratic Functions is important to ensure your success in tests, assessments and exams. The diagram below shows the height of the path of a small rocket which is fired into the air. The height, h metres, of the rocket after t seconds is given by h(t) = 16t – t². (a) After how many seconds will the rocket be at a height of 60m? A quadratic function is of the form f(x) = ax2 + bx + c where a, b & c are numbers which are not equal to zero. It is like a machine. You put in one number, and it transforms it into another number using a preset rule. 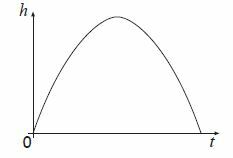 The graph of a quadratic function is a curve called a parabola which may open upward or downward and vary in width or steepness, but they all have the same basic U shape. We cover everything you need to know about Quadratic Functions in the Study Guides.